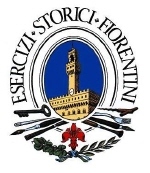 Enoteca Bonatti was established in Florence in 1934 as a wine and olive oil shop. In those days, wine reached our store in barrels and was bottled directly on site: it was put in the classic fiasco, the glass flask that satisfied the intense desire our customers then shared for everyday table wine. This kind of work called for great expertise and skill in purchasing wine lots, given the habitu al consumer was a very strict judge of the products quality and goodness. There was no brand, nor denomination to guarantee the quality of the wine; therefore, the only guarantee was represented by the merchant himself. This simple, yet challenging, concept has never changed over the course of the shops seventy years of activity. We continue to provide a high level of reliability and commitment in the selection of our products, and take great pride in greeting our clients with easy familiarity. If nothing has changed over the years in our approach towards quality and customer service, almost everything has changed in our shop in Via Gioberti (with the sole exception, that is, of its actual location). The shops management has remained in the same family for three generations: the founder, Pasquale Bonatti, was followed by his daughter Sara and her husband Mario, who have played a fundamental role in updating the concept of the wine retail store. 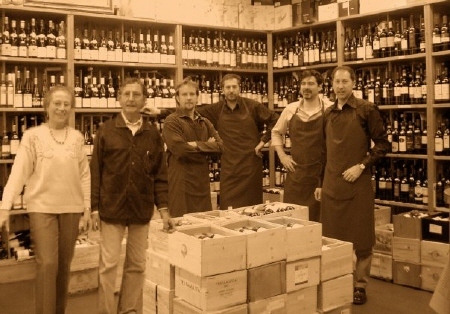 Currently, the store is managed by four friends: Roberto and Stefano, grandsons of Pasquale Bonatti, and Luca and Selvaggio, two wine enthusiasts who have been involved in the shops business for more than ten years. The Enoteca offers a wide selection of Italian and foreign wines and distillates, with particular attention given to French products. We also offer a great assortment of high-quality beers.